West Ham United's form since the New Year has slumped alarmingly following a reasonably successful 2018. Manuel Pellegrini's side have won just four Premier League games out of 12 played since the turn of the year, having also drawn three and lost five. 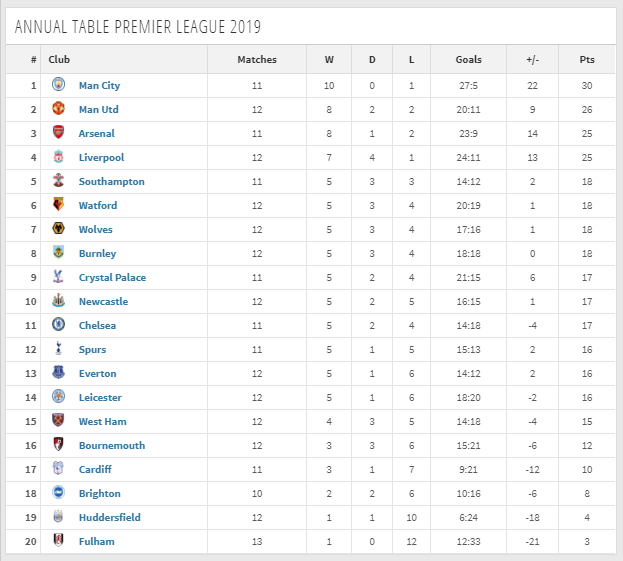 And those results leave the Hammers 15th in a 2019-only table, just seven points clear of the three worst performing teams - Brighton (who have played two fewer games), Huddersfield and Fulham. Since January 1, the only Premier League teams put to the sword by Pellegrini's West Ham are Arsenal, Fulham, Newcastle and Huddersfield - whilst Brighton, Liverpool and Crystal Palace have been held to draws. However defeats against Bournemouth, Wolves, Manchester City, Cardiff CIty and Everton have left West Ham facing an almost impossible task in their quest to qualify for European competition next season. Additionally the Hammers suffered an embarrassing defeat to League One strugglers AFC Wimbledon in the FA Cup, leading to yet further discontent from the stands. 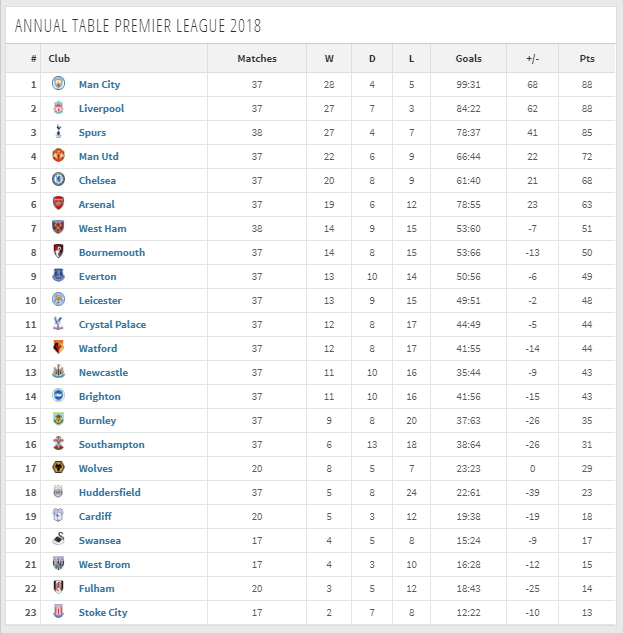 All of which contrasts with 2018's overall form - which began under David Moyes' leadership before Manuel Pellegrini stepped into the vacant managerial hotseat last summer - and resulted in West Ham placed seventh in the annual table. The Hammers averaged 1.34 points per game in 2018 under a combined force of Moyes and Pellegrini, down to 1.25 points under Pellegrini alone in 2019. Moyes, who was in charge between November 2017 and May 2018 averaged 1.22 points per game during his temporary six-month tenure at the club - whilst Pellegrini's team averaged 1.35 points per game in 2018 following a £100million summer spending spree. Still, the current manager's record stands up to any of his predecessors' with Pellegrini having won slightly more than 40% of his matches so far (down to just 37.50% if excluding Cup matches).